Additional Contributors: Peter J. Stephenson, Pete Oxford, and Nick Garbutt. This issue of Africa Geographic features an 8-page article (pp34-41) about the tenrecs of Madagascar. 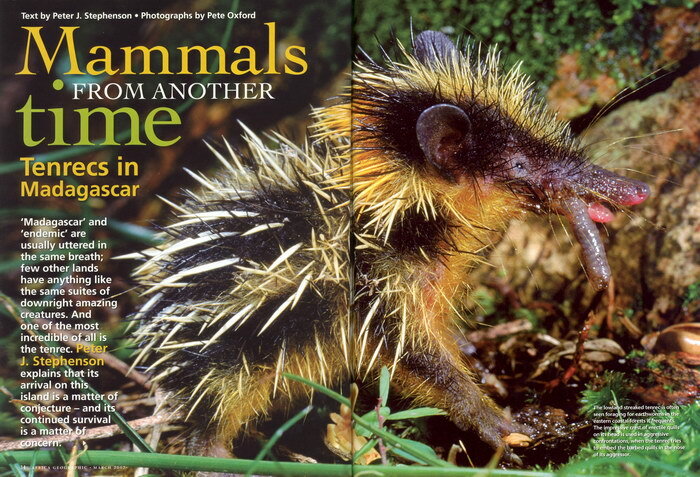 The article by Peter J Stephenson is entitled "Mammals from Another Time: Tenrecs in Madagascar" and features photographs by Pete Oxford, Nick Garbutt, and the author. 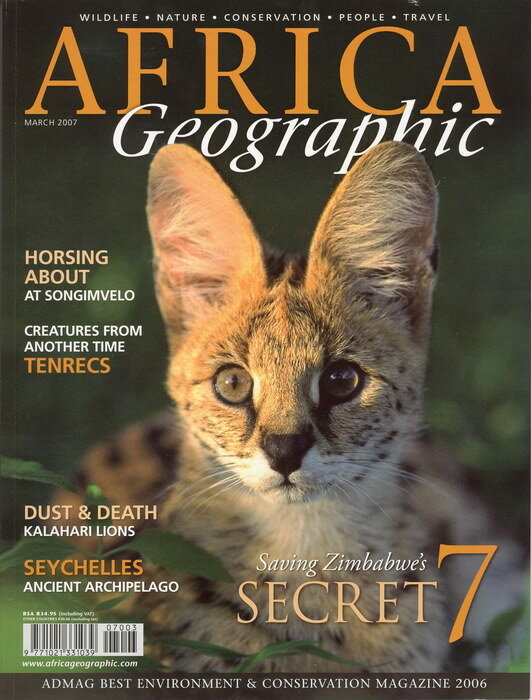 'Madagascar' and 'endemic' are usually uttered in the same breath; few other lands have anything like the same suites of downright amazing creatures. And one of the most incredible of all is the tenrec. Peter J Stephenson explains that its arrival on this island is a matter of conjecture � and its continued survival is a matter of concern.